Whether you like it strong or weak, black or white, coffee is loved throughout the nation as a pick-me-up and morning delight. 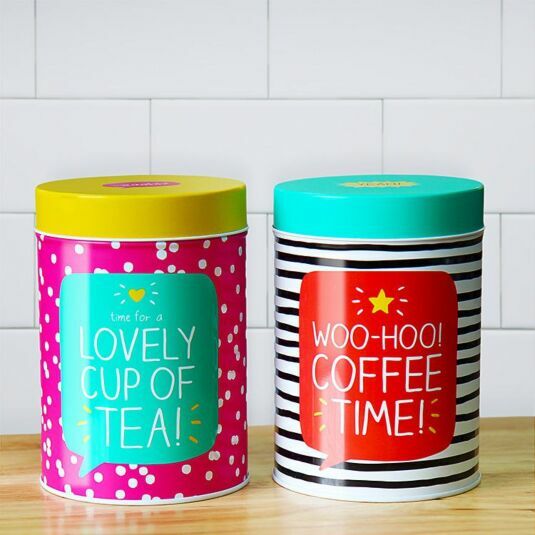 This Happy Jackson Round Coffee Caddy is the perfect storage container to keep your coffee in, making the ultimate of colourful statements throughout any kitchen! Shaped into a round cylinder, this coffee caddy is just the right size to keep a full coffee jar’s worth of coffee within its metal walls, whilst the removable lid allows for safe storage and easy cleaning. 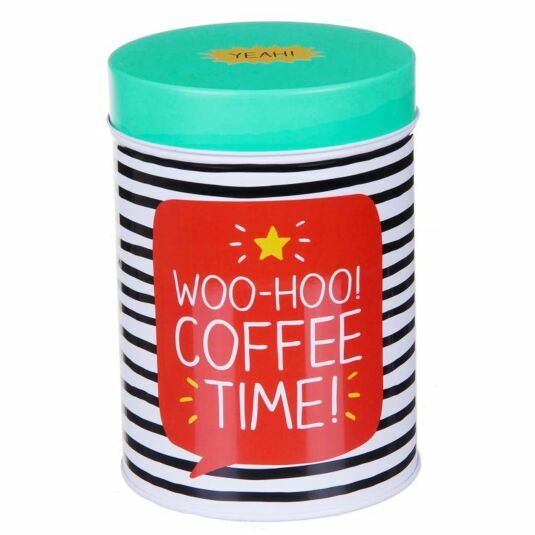 Vibrantly coloured in a combination of red, green, white and black, the base of the tin is decorated in a striped pattern of black with white stripes whilst the lid is coated in a soothing pale green. 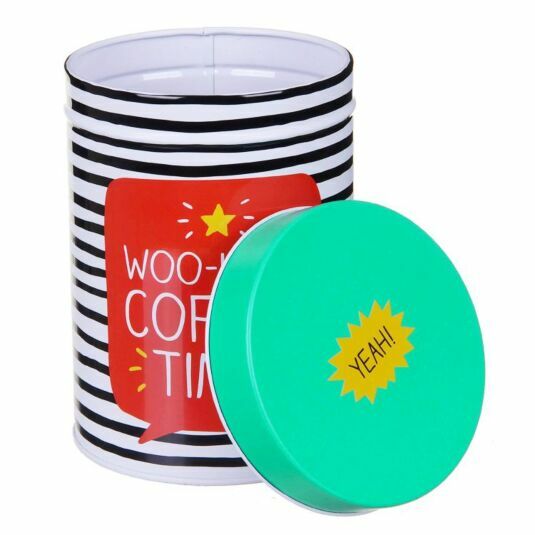 The lid itself is adorned with the text ‘YEAH!’, whilst the main text is featured on the front of the caddy which reads ‘WOO-HOO COFFEE TIME!’ in a bold white font, surrounded by yellow glow marks and finished with a yellow love heart on a red speech bubble. 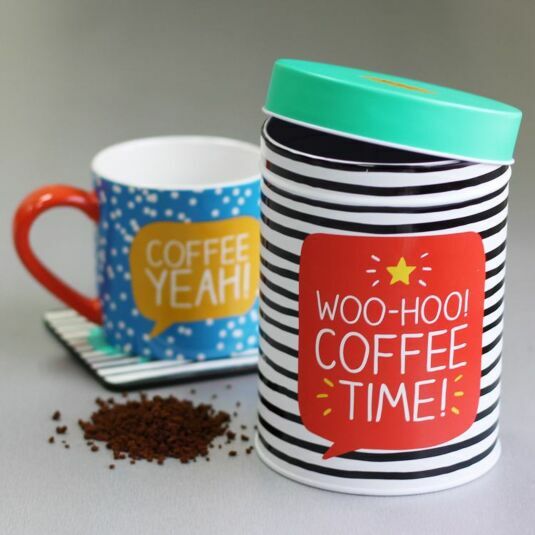 Ensure you get your caffeine fix in the most colourful and positive of ways with this handy Happy Jackson Round Coffee Caddy, the ideal gift to give to a new homeowner or university student or even as a spruce of colour to add to your own kitchen!